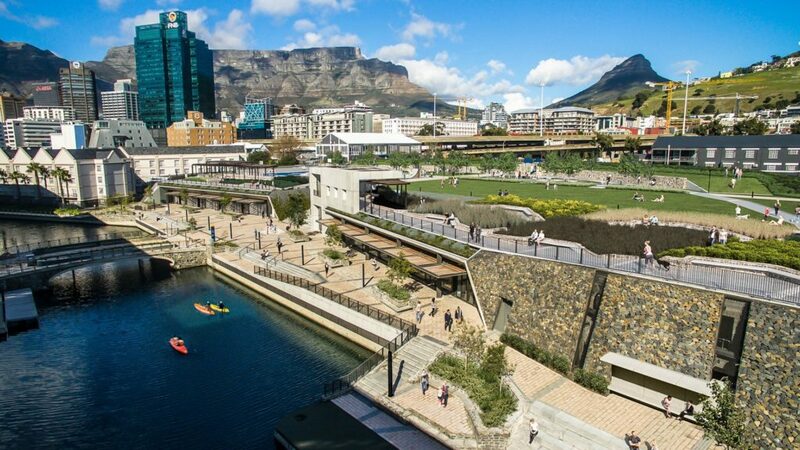 Located at the V&A Waterfront district (home to the Zeitz MOCAA art museum by Heatherwick Studio), Battery Park is an urban park designed by dhk Architects which features landscaped gardens, pedestrian routes and walkways as well as spaces for leisure and recreational activities. 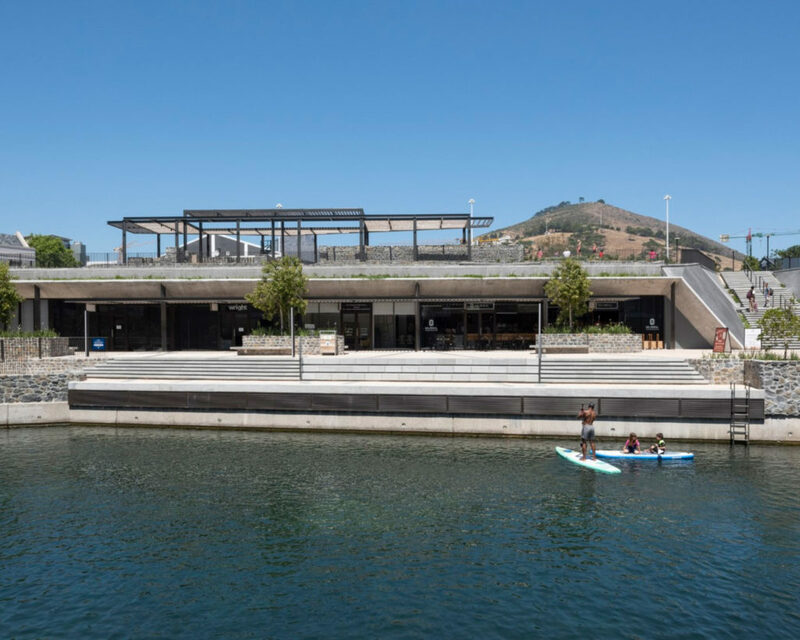 The park, which sits on what was once the Amsterdam Battery, (a series of coastal fortifications built in the 18th century) was designed to invigorate the area and facilitate a new hub of activity within the V&A waterfront district attracting all of Cape Towns inhabitants and visitors, regardless of their economic class and demographic. 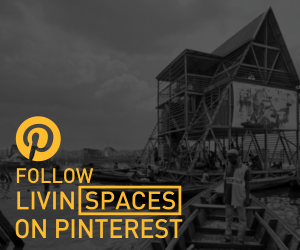 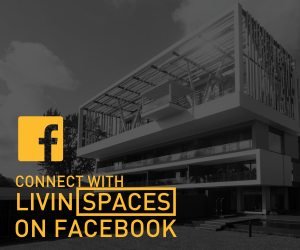 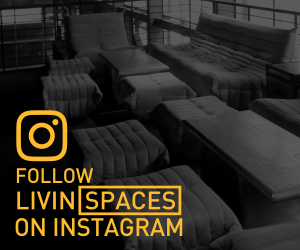 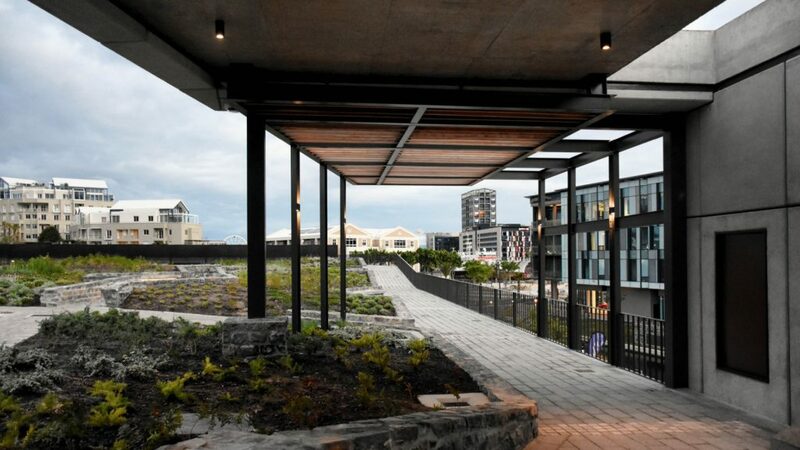 You can read an in depth breakdown on the design by dhk architects here. 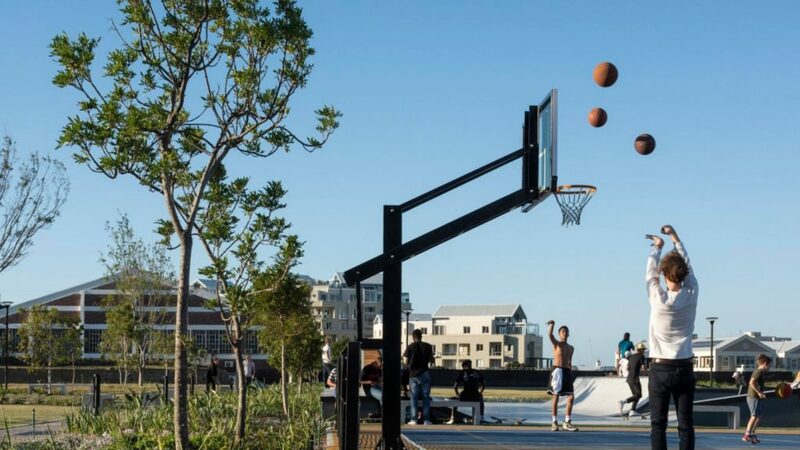 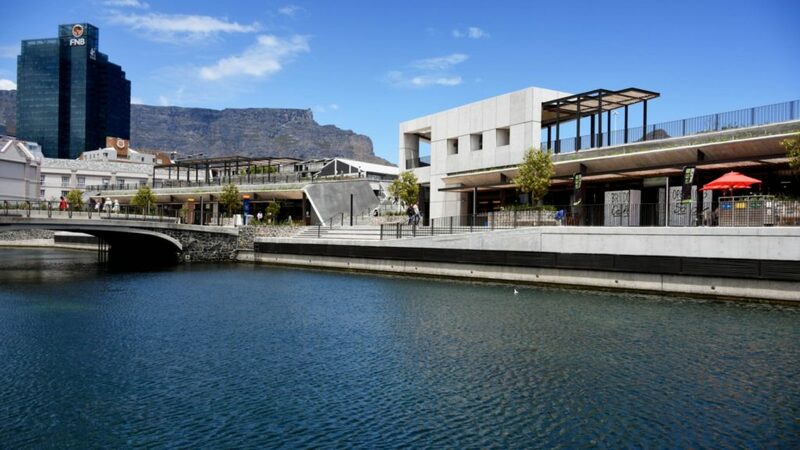 Battery Park is a new 12 000 sqm (1.2 hectre) urban park situated at a key entranceway to one of Africa’s most visited tourist destinations, the V&A Waterfront in Cape Town, South Africa. 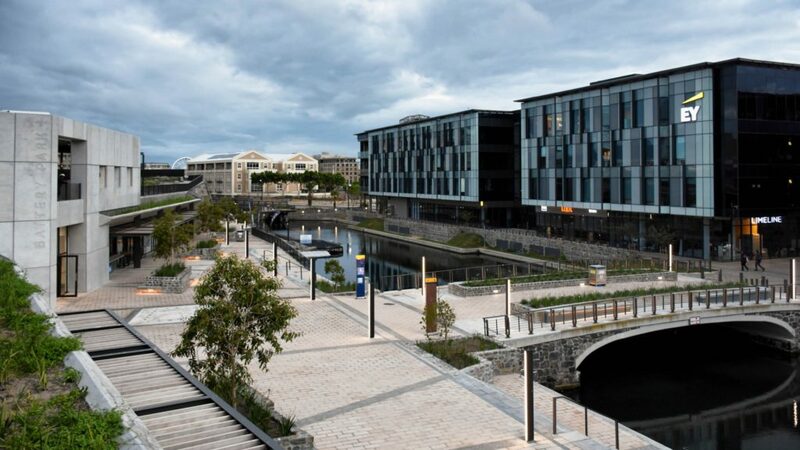 Developed as the nucleus of a larger urban vision for the district, the site includes a park and piazza that effectively conceal a 1206-bay parking facility as well as new pedestrian routes to invigorate the precinct with activity. 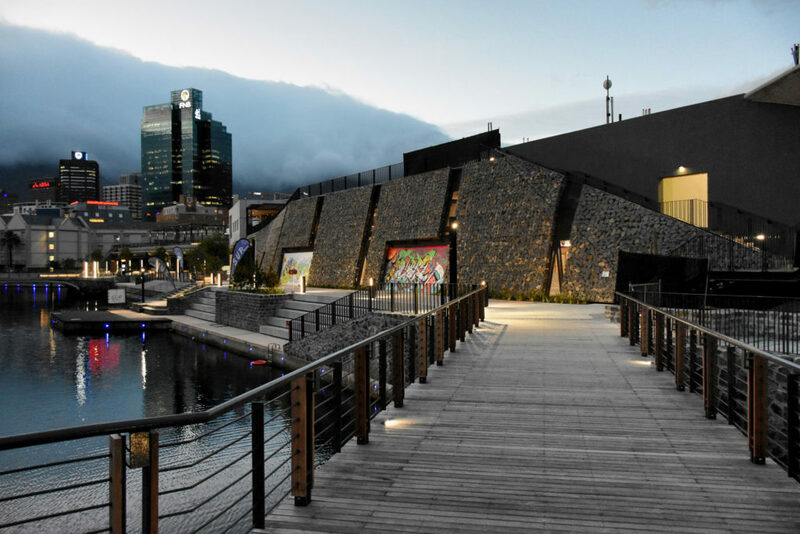 The site is of archaeological importance as it contains the remnants of one of the city’s oldest structures, coastal fortification the Amsterdam Battery. 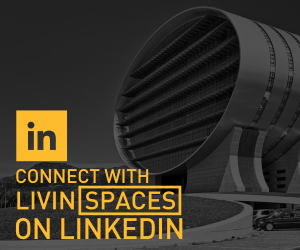 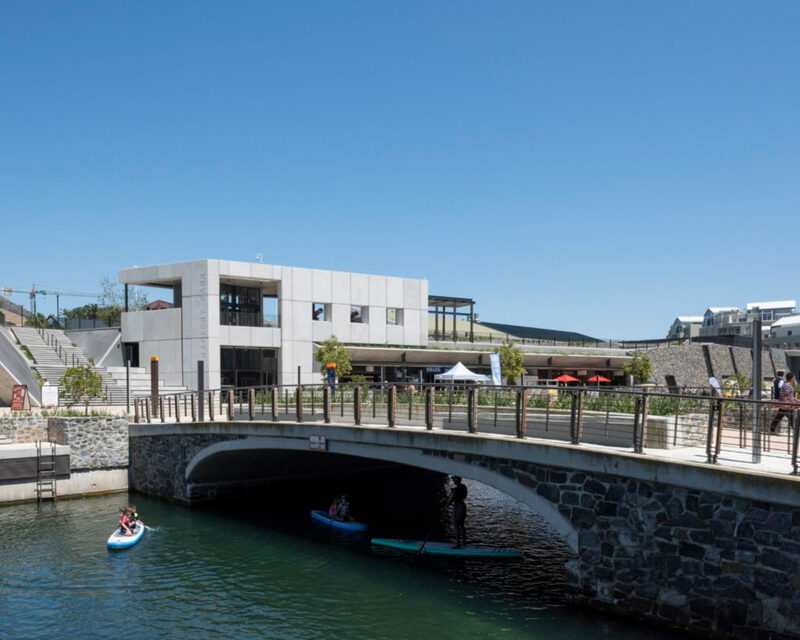 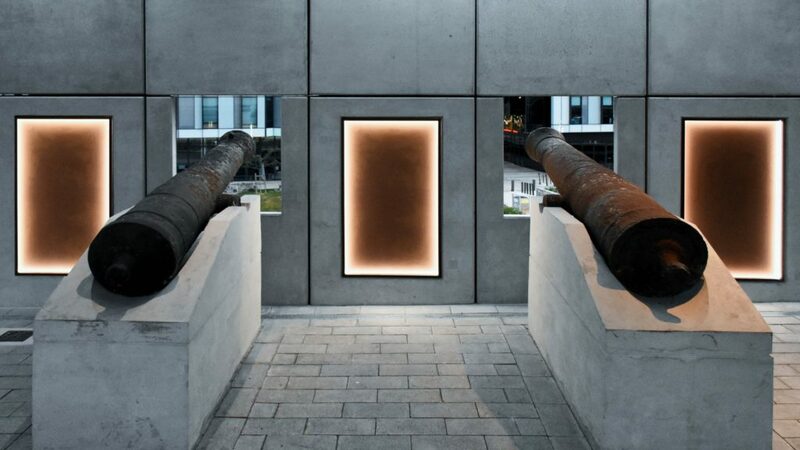 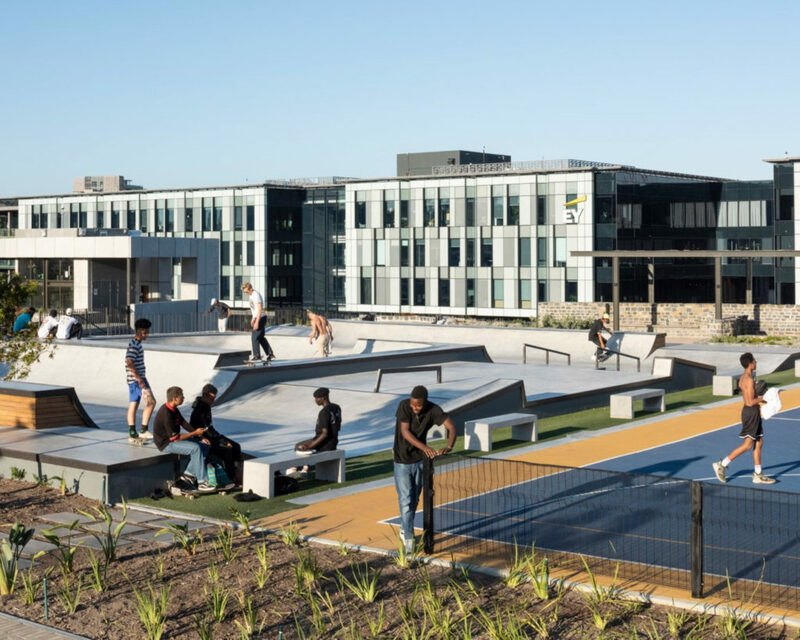 This provided a unique opportunity – to pay homage to the historic landmark whilst incorporating a parking facility and providing spaces for leisure and recreational activities. 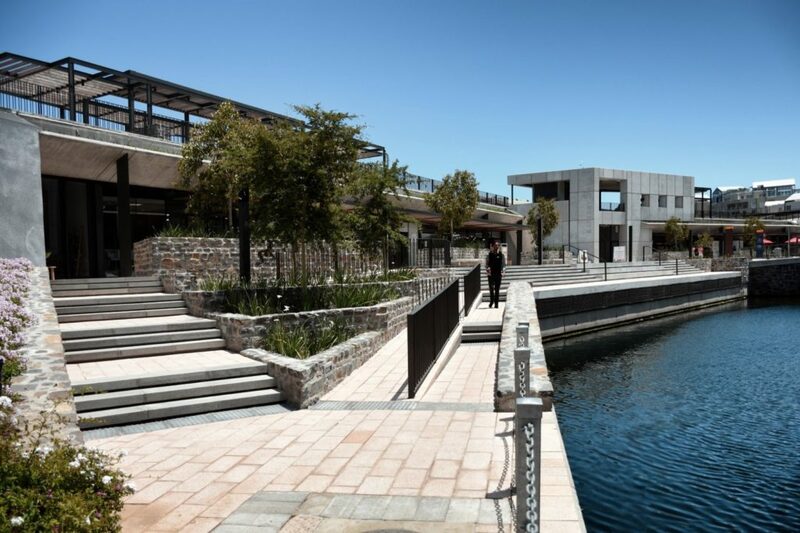 The project forms part of an urban design framework created by dhk for the V&A’s previously underutilised Canal District that facilitates the reconnection of the historical city centre and De Waterkant to the V&A. 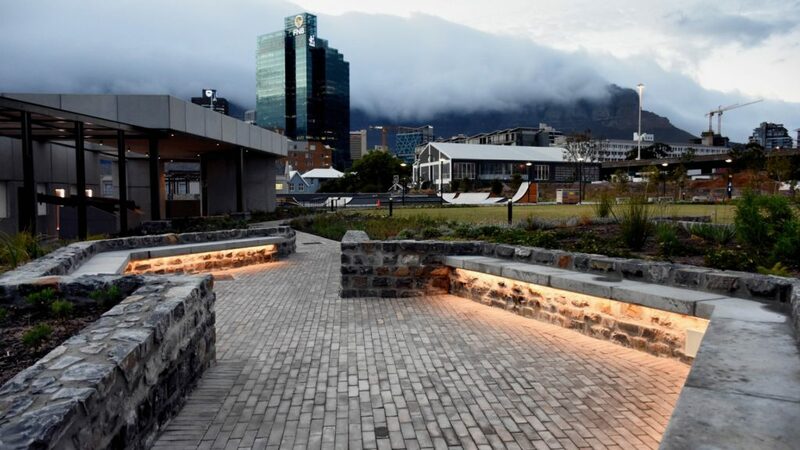 The aim was to create a publicly accessible park which lies at the nexus of a multitude of new pedestrian routes stitching the new district into the surrounding urban fabric and thereby helping to invigorate the area. 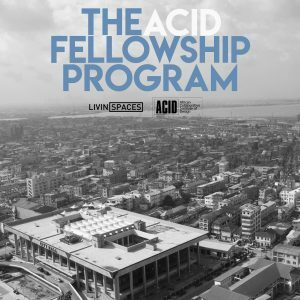 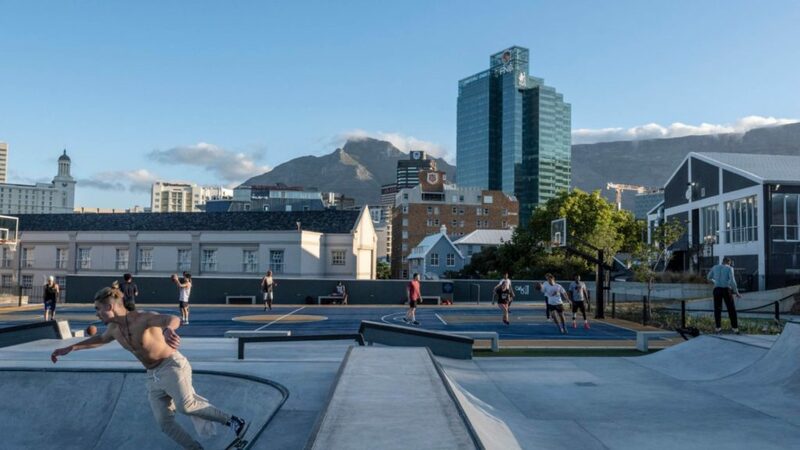 “The intention was to facilitate a new hub of activity within the V&A district whilst being respectful to the heritage of the Amsterdam Battery, once a place of exclusion and incarceration, but now a public space designed to support and engage the greater Cape Town community”.